Colorado Gov. John Hickenlooper signed into law May 31 a major bill to fund transportation infrastructure projects. The legislation, called Senate Bill 18-001, calls for periodic transfers from the state’s general fund to the state highway fund. Colorado Department of Transportation spokeswoman Amy Ford explained that the agency will be allowed to use a portion of these funds. Overall, she said SB 1 will bring $451 million to state highway projects over the next two years. According to the legislation, these fund transfers are meant to offer a stable source of revenue dedicated entirely to roads. “The state has significantly decreased its contribution of general state revenue available in recent years to fund critical priority transportation infrastructure needs, and current transportation funding mechanisms do not provide adequate revenue to keep pace with the increasing demands on transportation infrastructure statewide,” the text of SB 1 states. 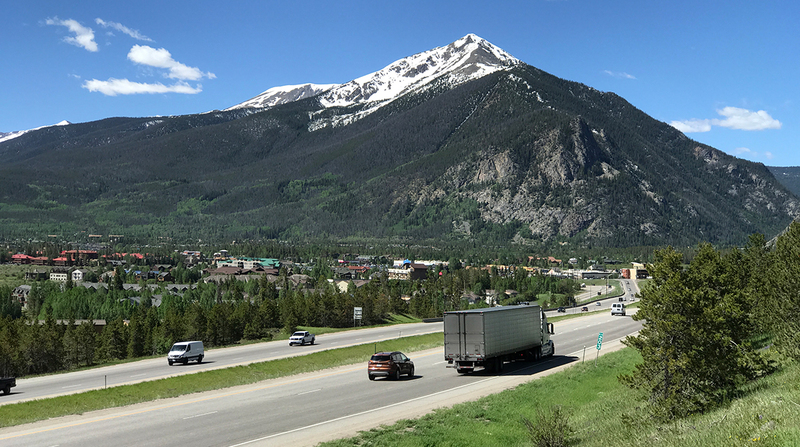 Ford said CDOT is sifting through a long list of transportation projects to address throughout the state, which she said suffers a $9 billion transportation infrastructure deficit. Such projects include the installation of passing lanes and guardrails on rural roads and highways, as well as expansion projects along interstates 70 and 25. I-70 is a major east-west corridor that runs across the entire state and bisects Denver. I-25 is a north-west corridor that also goes through Denver. Colorado’s rapidly growing population was an impetus behind SB 1. According to the legislation, Colorado’s population is expected to near 7 million people by 2030. Denver ranked No. 13 on the Census Bureau’s list of cities with the largest numeric increase between July 2015 and July 2016, with an influx of more than 13,000 people. Ford explained that this piece of legislation builds on the work of Senate Bill 267, which was passed in 2017 and established a system of lease-purchase agreements on state buildings to generate $2 billion for transportation construction projects. She described SB 1 and SB 267 as important steps in addressing Colorado’s infrastructure needs. Hickenlooper, a Democrat, hailed the legislation as an effort in bipartisan teamwork. The bill’s primary sponsors were Sens. John Cooke (R-Greeley) and Randy Baumgardner (R-Hot Sulphur Springs), as well as Reps. Perry Buck (R-Windsor) and Faith Winter (D-Westminster). The bill passed the Senate on May 16. The signing ceremony also was attended by several senate Republicans who supported the bill, including Senate President Kevin Grantham (R- Cañon City), Majority Leader Chris Holbert (R-Parker) and co-sponsors Cooke and Baumgardner. “This isn’t a perfect solution, or the bill we would have written if we had total control of the statehouse, but it has good chance of winning voter approval and will commit a sizable stream of future general fund revenue toward road modernization, without the need to raise taxes,” Grantham said.